Two Christian parenting educators describe five ways we can connect with our children: physical touch, quality time, words of affirmation, gifts, and acts of service. These initiatives, when geared to the preferences of each child, make them feel loved and, thus, more receptive to guidance and redirection when needed. The authors are inspiring writers whose examples and quotes from children and parents are instructive. 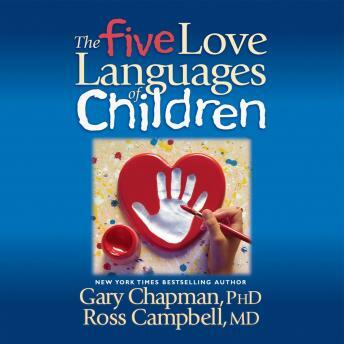 Gary Chapman's uplifting reading makes the effort that some of these approaches will require seem natural and right. This is a program that helps listeners make their children central in their lives and that provides them with specific tools to stay connected. Enlightens me and I will better parent because I have a better understanding of how to love my child!